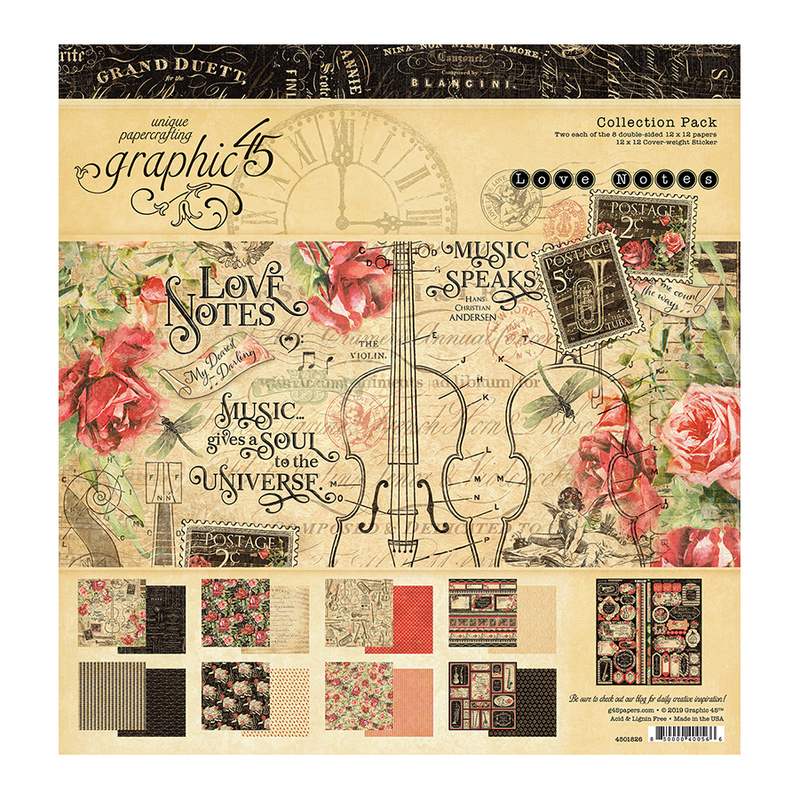 Play a different tune when you create with the Love Notes 12" x 12" Collection Pack from Graphic 45. 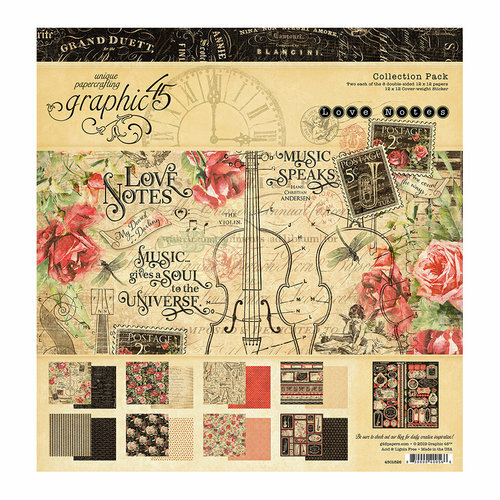 There are 18 pieces included in the package (16 double sided 12" x 12" pattern papers and 2 sheets of 6" x 12" cardstock stickers). 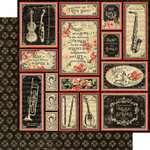 The patterns feature roses, musical instruments and postage stamps (2 sheets each of 8 designs). Made in the USA. 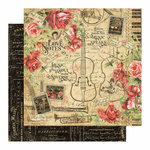 In Love with Love Notes! 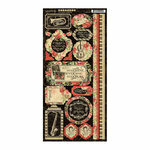 Gorgeous graphics and striking colors made these must have papers for me! 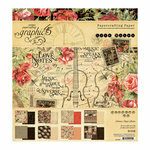 Thank you Graphic 45, you never disappoint! 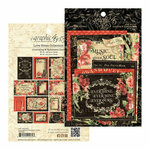 Scrapbook.com is my “go to” for quality, high in papercraft supplies. 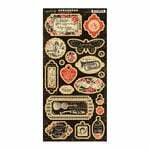 Fast shipping and excellent communication. 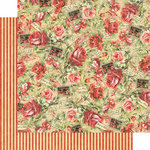 Love this collection, can’t wait to make a mini book with it! !